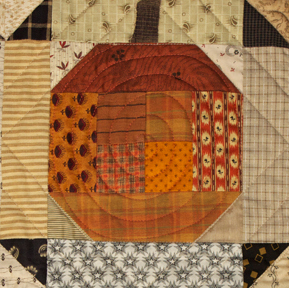 Finished size - 26" x 44"
create a pumpkin themed project. 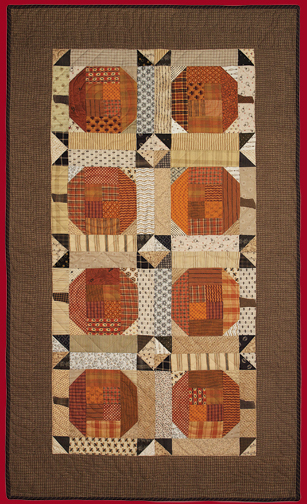 Choose a variety of fat quarters in cheerful oranges, rustic browns and shirtings for this quick, easy project. Order a printed pattern mailed to you.